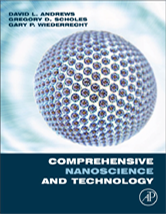 Nanotechnology and its underpinning sciences are progressing with unprecedented rapidity. Against this background, this comprehensive work is designed to address the need for a dynamic, authoritative and readily accessible source of information, capturing the full breadth of the subject. Its five volumes, covering a broad spectrum of disciplines including material sciences, chemistry, physics and life sciences, have been written and edited by an outstanding team of international experts. Addressing an extensive, cross-disciplinary audience, each chapter aims to cover key developments in a scholarly, readable and critical style, providing an indispensible first point of entry to the literature for scientists and technologists from interdisciplinary fields. The work focuses on the major classes of nanomaterials in terms of their synthesis, structure and applications, reviewing nanomaterials and their respective technologies in well-structured and comprehensive articles with extensive cross-references. This comprehensive work is designed to address the need for a dynamic, authoritative and readily accessible source of information, capturing the full breadth of the subject. It covers a broad spectrum of disciplines including material sciences, chemistry, physics and life sciences and has been written and edited by an outstanding team of international experts, including Nobel Prize Winner, John Charles Polanyi.